-Extensive strategies for managing time throughout the Reading Comprehension section both as a whole and on each passage/question set. -An in-depth explanation of skimming techniques -- learn to focus on the most important parts of a passage without getting lost in the details, and to locate key information more rapidly as you work through the questions. -An overview of common passage topics and themes designed to teach you to "read the test" and identify correct and incorrect answers more accurately and efficiently. -A complete chapter devoted to each major question type: literal comprehension, vocabulary-in-context, function/purpose, tone, inference, and point of view. -Examples from The Real Guide Guide to the ACT, 3rd Ed. 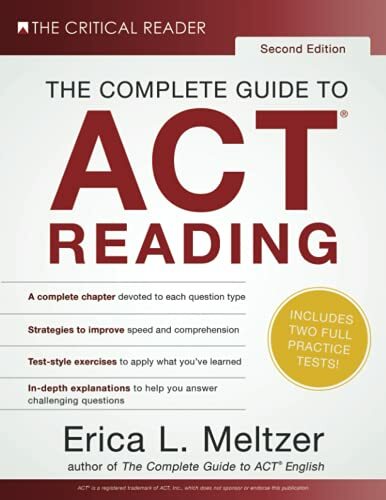 demonstrating how to apply the techniques discussed to actual ACT questions. 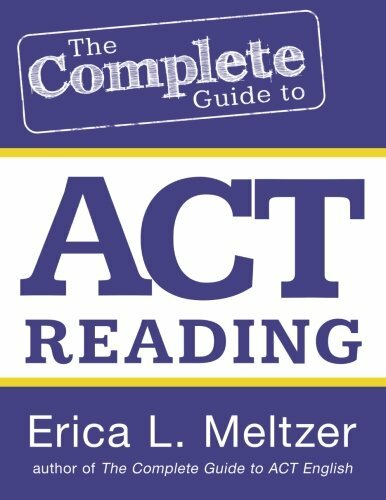 With passages drawn from the same contemporary sources and authors used on administered ACT exams, this book provides accurate, rigorous preparation designed to teach you exactly what to expect when you sit down to take the real exam -- whether your goal is a 25 or a 36.